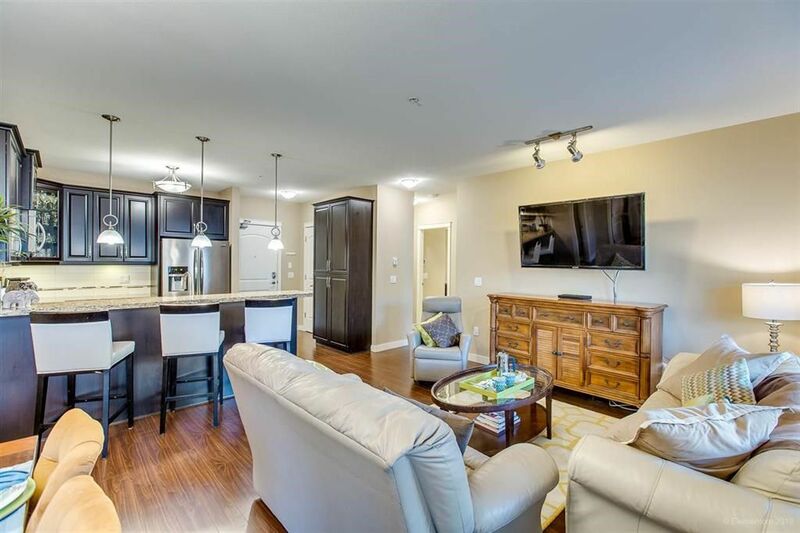 DOWNSIZERS and FAMILIES this is the condo you have been dreaming of! 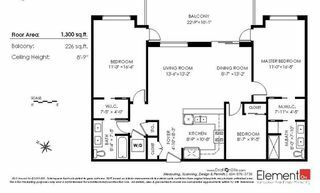 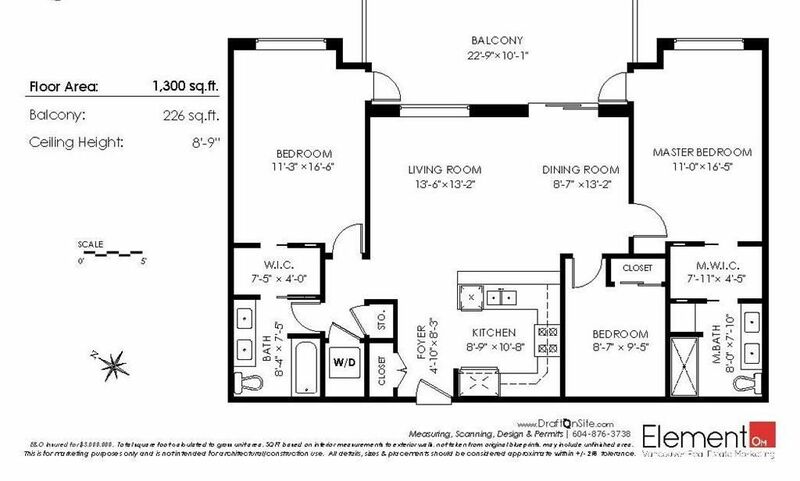 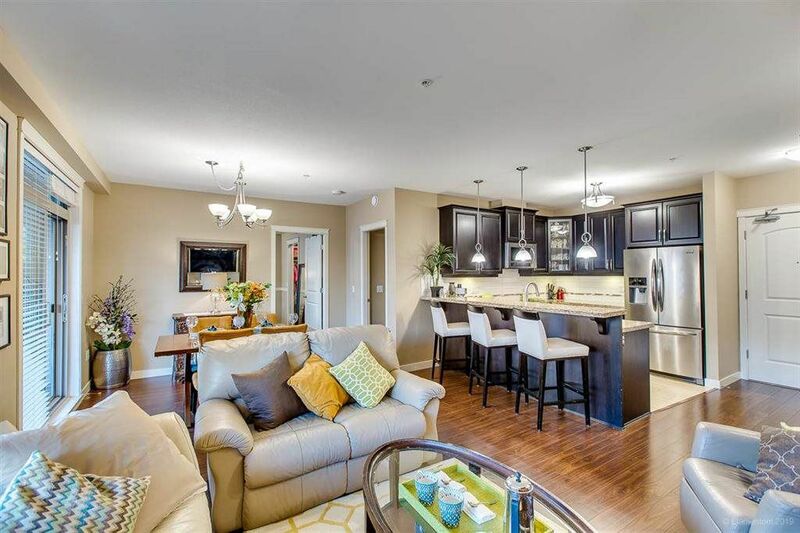 Rarely available floor plan with nearly 1300 sqft of open concept living space. 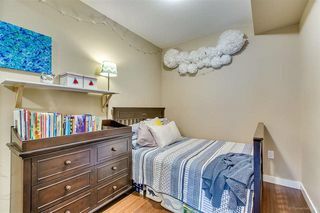 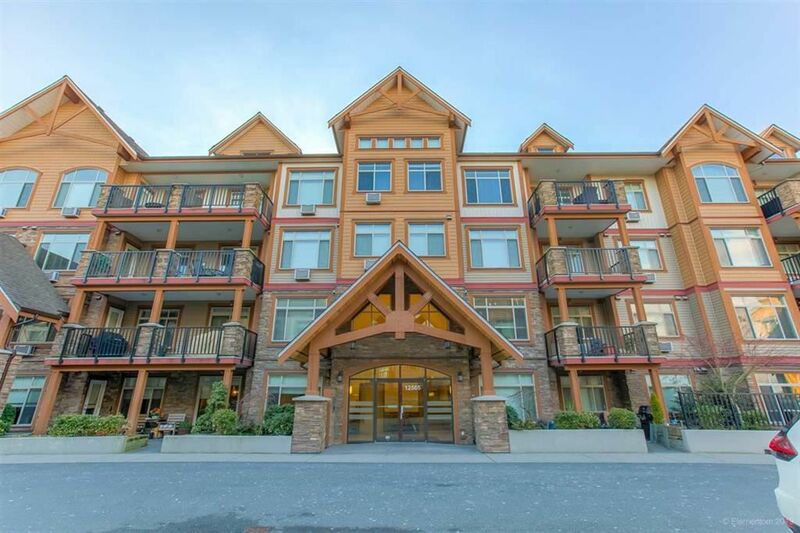 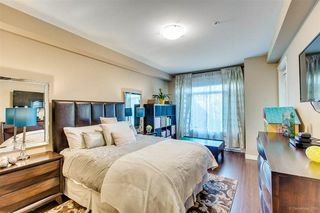 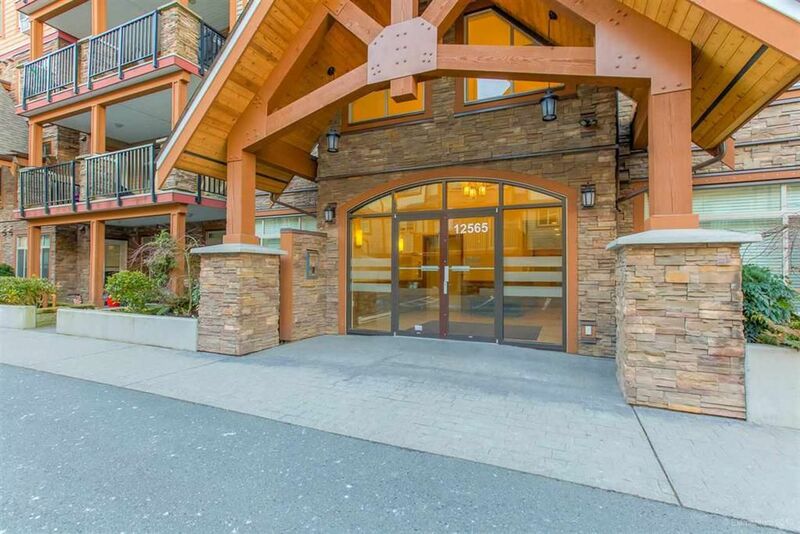 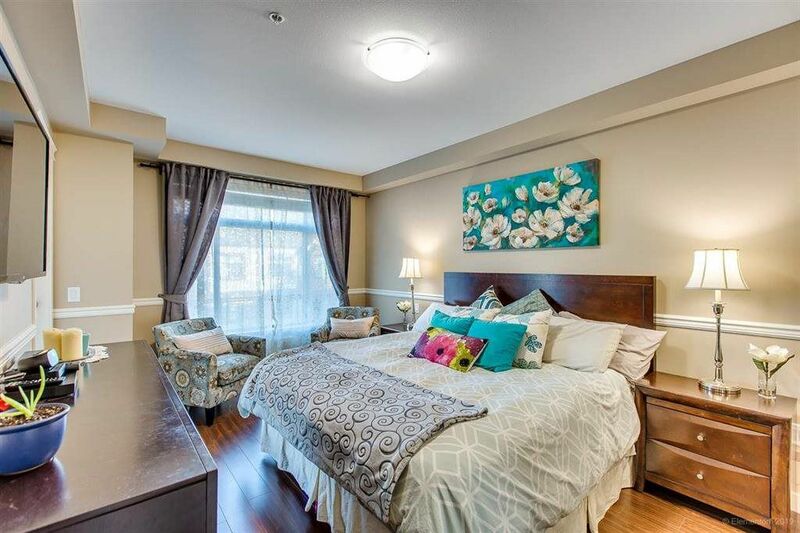 This unit features TWO huge master bedrooms w/walk through closets, AIR CONDITIONING and ensuite PLUS a large den. 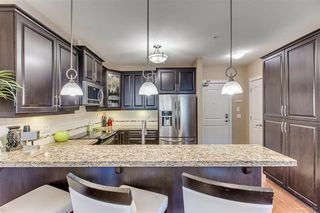 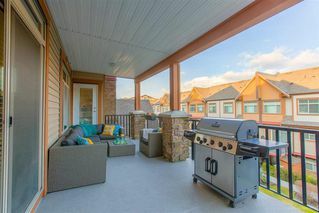 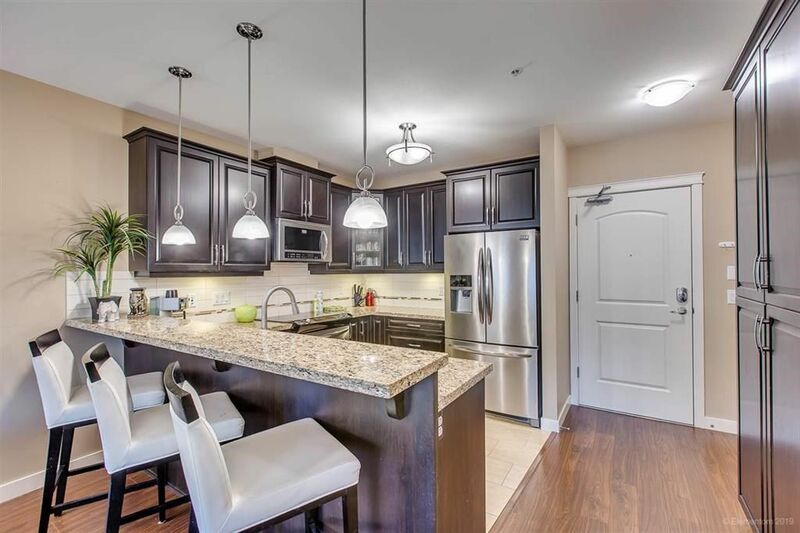 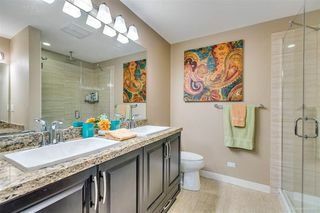 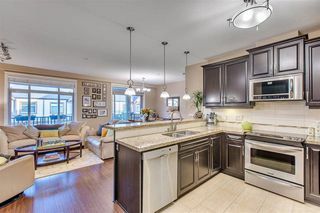 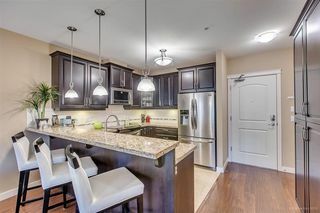 Gourmet Style kitchen with granite countertops, stainless steel appliances, plenty of cabinetry with under lighting and soft-closing drawers and a breakfast bar to fit 3 stools. 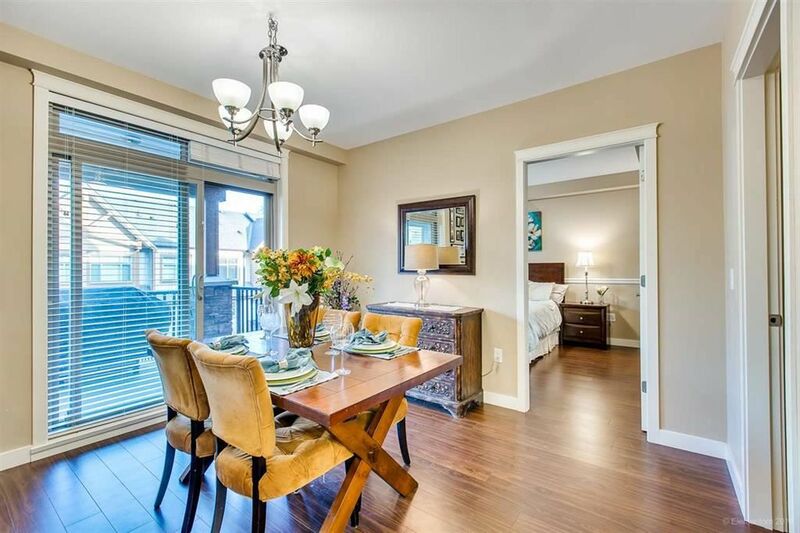 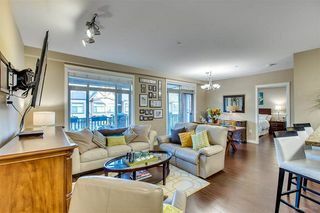 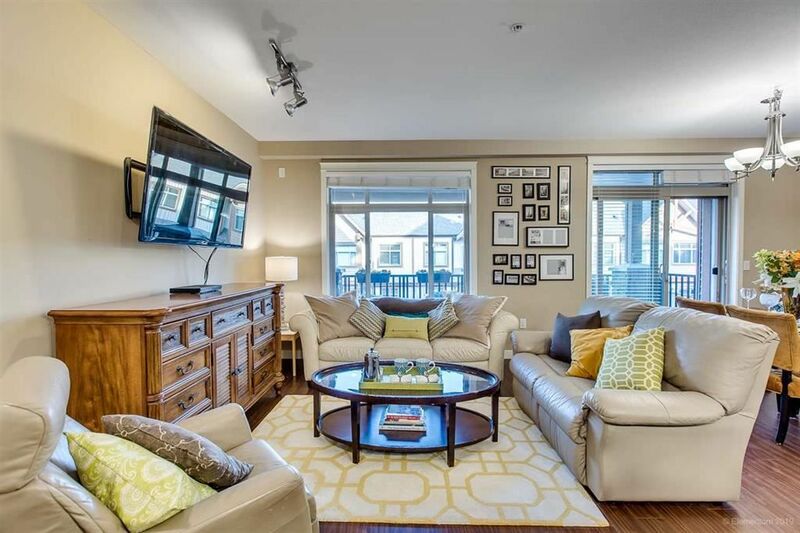 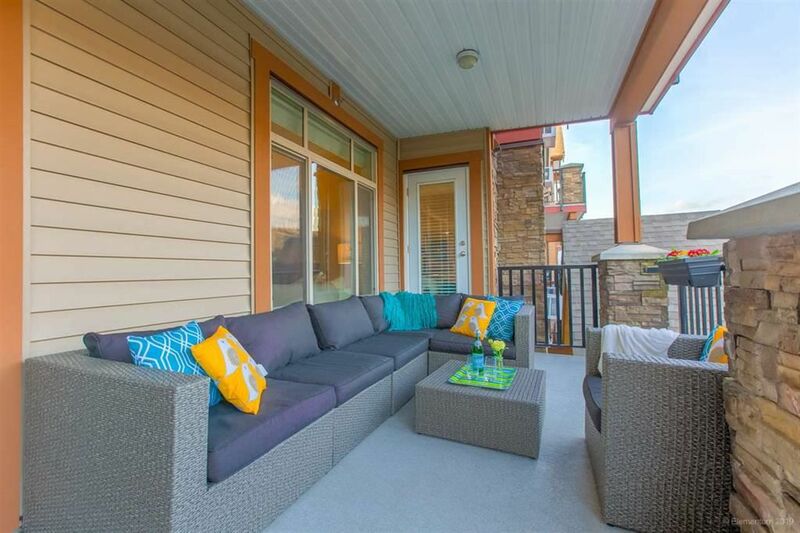 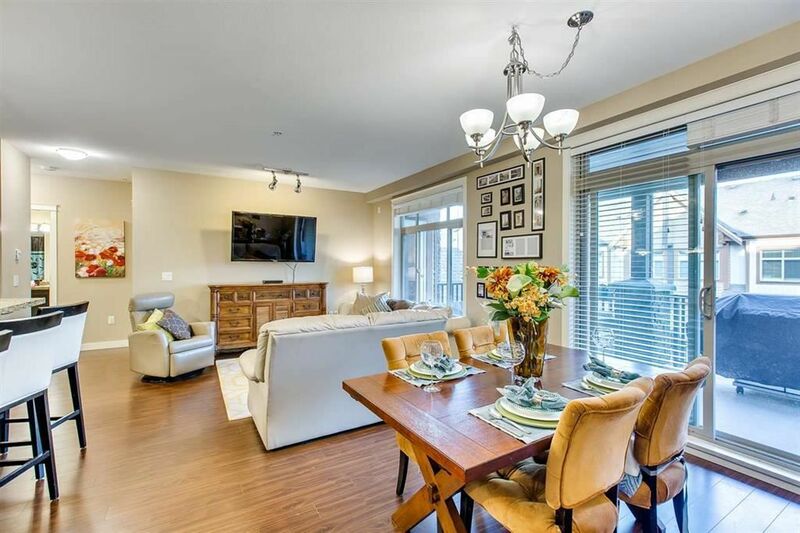 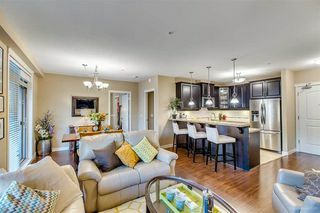 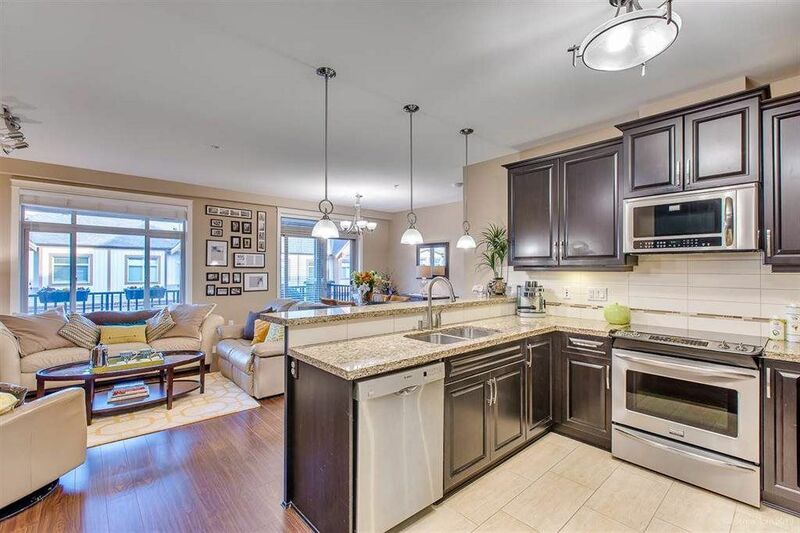 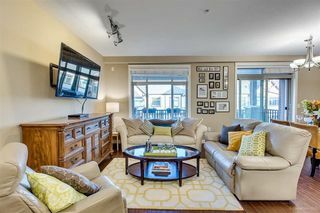 Spacious open concept living room & full sized dining room with 9”ft ceilings and expansive windows. The enormous covered balcony is an entertainers DREAM (22'9 x 10'1). 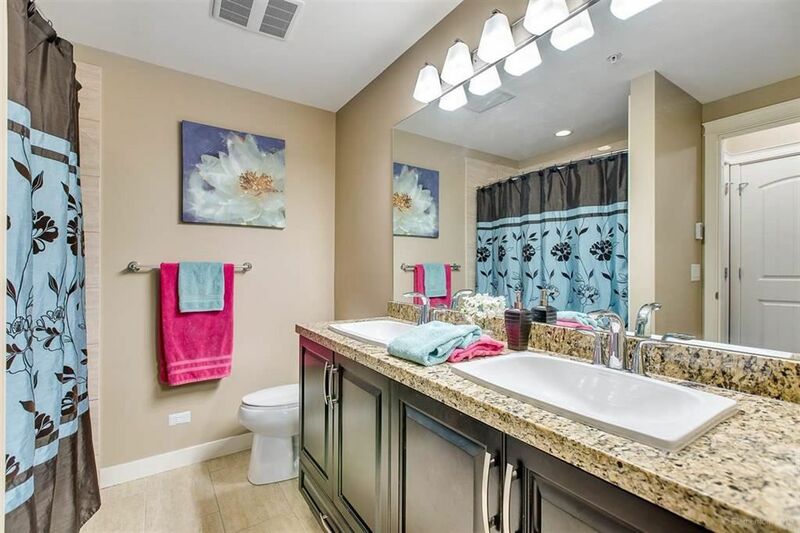 Two full bathrooms w/heated floors & double sinks. 2 Parking Spots with Roll up Storage locker. 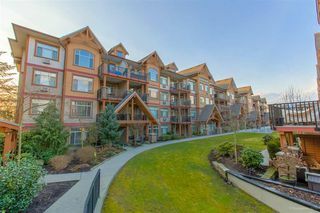 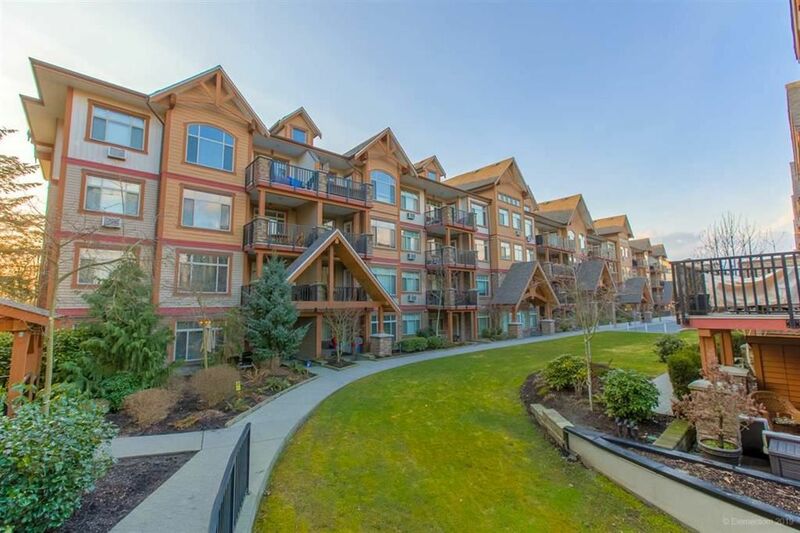 Built by Quadra Homes renowned for it West Coast Architecture.